Nassau County, New York (NewYorkInjuryNews.com) – The fire chief of Hempstead, New York, and a firefighter from NYC surrendered to authorities March, 9, 2010, after stopping and searching a pedestrian, while brandishing weapons on Sunday, March 6, 2010. A third party is suspected to be involved, as reported by the New York Daily News. Michael Charles, former NYPD detective and current fire chief, plead not guilty to menacing and weapons possession charges at his arraignment on Tuesday, March 9, 2010 and was released without bail. Brian Schuck, an eight-year-FDNY veteran, already had an outstanding warrant for assault. Schuck, who works at Ladder 111 in Brooklyn, has been suspended without pay. The third suspect is still being sought, police say. According to reports, Charles held a handgun on his hip while Schuck and another firefighter carried shotguns as they harassed and searched a man walking down a street on Sunday, March 6, 2010. The men were in an official Hempstead Fire Department SUV. Charles’ defense attorney Paul Delle says the men were responding to a gunshot report near the firehouse. 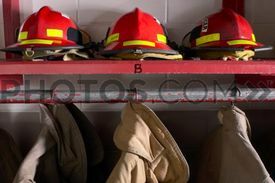 Legal News Reporter: Tara Monks – Legal news for New York firefighter attorneys.